Everything you could want in prestigious Valley Ranch. 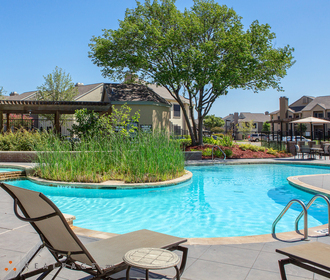 This conveniently located community offers quick access to major freeways to Dallas, Fort Worth and DFW Airport. The perfect blend of comfort, quality and style with exceptional amenities including multiple swimming pools, fitness center, three (3) outdoor televisions by the front and back pools with gas grills and beautiful seating area. Wifi cafe' nestled in a beautiful landscape. Interior design features crown molding, ceiling fans, under the cabinet microwaves, built-in computer desk in select models and wood-burning fireplaces. 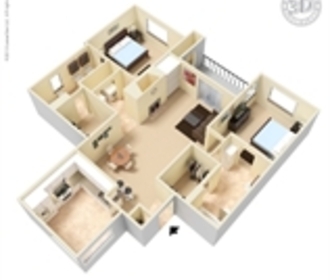 Exceptional charm and elegance awaits you with twelve unique one and two bedroom floor plans from which to choose. Our staff is prepared to answer all your questions and assist you with selecting an apartment to compliment your style and comfort. Call or come see us today. Click here to download our new Qualification Acknowledgement form.